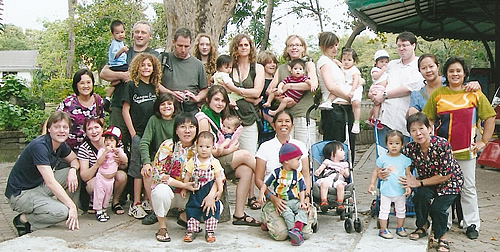 In January 2009 we took our children to the Dusit Zoo in Bangkok and they just loved it. 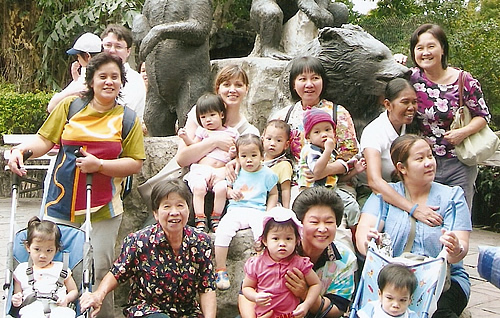 Located at Khao Din Park in Bangkok’s Dusit District next to the Parliament House and Dusit Palace, it is the oldest zoo of Thailand, built by King Chulalongkorn (Rama V) as his private garden adjacent to the royal palace. After the King’s passing, the garden was left unattended for years. In 1938, the revolutionary government asked King Rama VIII’s regency to give this park to Bangkok City Municipality to be open as a public zoo. The King himself kindly bestowed deers and a number of other animals from the palace for public exhibition. The City of Bangkok operated the zoo until 1954.